This graphic novel retelling of Homer’s Iliad was not quite what I expected. It’s much too word-heavy for a graphic novel, and I found myself bogged down in the text. Most of the panels have so much text that there is barely room for the artwork. And the artwork itself is nothing special. I didn’t care for the cartoony look, and it just didn’t grab my attention. It looks somewhat amateur, or hastily drawn. 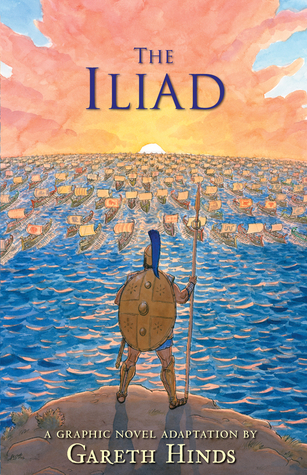 If you are a big fan of the Iliad, you might like this, but I did not enjoy reading it. Usually I love classical literature, and I have read The Iliad before, so I was happy to be revisiting the story of the Trojan War with all the drama. But this book does not deliver drama. It feels stale and static, like the characters are all made of stone. Disclaimer: I received an ecopy of this book from the publisher/author via NetGalley in exchange for a free and honest review. All the opinions stated here are my own true thoughts, and are not influenced by anyone.